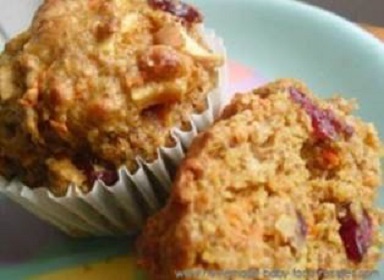 Looking for a great homemade muffin recipe that incorporates the addition of healthy flax seeds? If so, I think you're going to really enjoy our guest post recipe today from the great folks over at Carrington Farms. Makes 12 to 24 muffins depending on how full you fill the muffin cups in your pan. The recipe can be easily doubled to make larger batches. Preheat oven to 350 F. Grease a 12-muffin tin very well. Mix the dry ingredients together, then add the rest of them. Let batter stand 10 minutes, then put into the muffin pan and bake for about 18 minutes until toothpick comes out clean and muffins just barely start to pull away from the sides of the tin. I have been trying to add different items like flax or chia seeds to my recipes. This recipe looks good, but I might add a little cardamom to it.